We have only been carrying Avene for a little over a year and it has already become both a Staff and Client fave! The reason is clear....IT WORKS! Avene is backed by more than 300 clinical studies proving its effectiveness. Avene's Hydrotherapy Center delivers amazing results for treating Atopic dermatitis, Eczema, Psoriasis, Chronic Itching, Burns, and Scars in both children and adults. The basis for the entire treatment is the amazing, healing thermal water taken directly from the local springs. The same thermal water is used for the base of the Avene Skincare Line and one of my favorite products in the Avene Thermal Spring Water. Check out these BEFORE AND AFTERS with just 3 months use! Avene isn't just for sensitive skin, it's for ALL SKIN TYPES and delivers proven results for anti-aging, blemish prone, dry and severely dry, hypersensitive or intolerant, redness prone, or flaky skin, and also has your suncare needs covered! 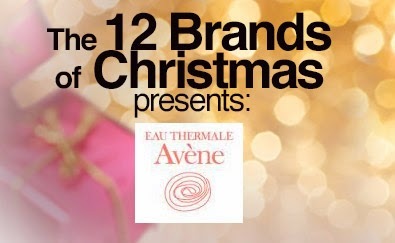 This week's GRAND PRIZE includes an Avene Retrinal+ 0.1 Cream, Retrinal EYES H.A.F., and Retrinal H.A.F. Firming Gel valued at $159!! This is an AMAZING GRAND PRIZE! 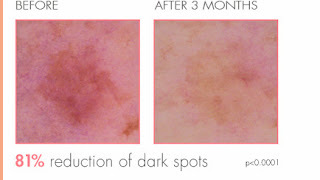 The reviews for all 3 of these products indicate that these products work and will diminish fine lines AND aid in reducing hyperpigmentation. Wanna win? Go here for your chance to win! Don't forget to follow our Facebook Page for more information on Avene, games, FREE samples, and MORE!